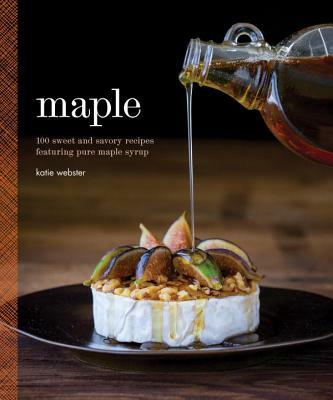 Explore 100 sweet and savory recipes, including plenty of vegan, gluten-free, and paleo-friendly options, all featuring the incomparable taste of maple. Maple. The very word conjures up sweet memories of rich amber-colored syrups, indulgent breakfasts, and delicate candy. But that’s just a drop in the sap bucket: this liquid gold works its magic on everything from barbecue sauce to classic cocktails to delectable desserts. Plus it’s a healthier option than other sweeteners. So step into the sugar shack as seasoned sap-tapper Katie Webster takes you behind the scenes of her backyard maple sugaring hobby. Then try your hand at her Maple Ginger Roasted Salmon or Smoky and Sweet Turkey Chili. Pour yourself a Maple Peach Old Fashioned and enjoy a helping of Bananas Foster Bundt Cake. Katie Webster is a food blogger, recipe developer, and former food stylist who focuses on healthy eating and cooking with locally sourced seasonal ingredients. She lives in Richmond, Vermont, deep in a stand of maple trees. Her family taps their trees every spring to make pure maple syrup. Katie studied art and photography at Skidmore College and is a graduate of the New England Culinary Institute. She is a contributing editor to, and former recipe developer and tester for, Eating Well magazine. Her work also regularly appears in Fitness and Parents magazines, as well as around the Internet. When she’s not cooking, styling, and taking photographs, you can find Katie teaching fitness classes, gardening, or spending time with her husband and daughters. Visit her online at HealthySeasonalRecipes.com.